Tales of Vesperia: Definitive Edition is ranked in the 92nd percentile of games scored on OpenCritic. A lot has happened in ten years. A decade is a long time, but in the case of Tales of Vesperia Definitive Edition, it’s fair to say that it’s all been worth the wait. Tales of Vespera: Definitive Edition is a successful rejuvenation of the classic. The adaptation has become very good overall, even if the gameplay itself has some weaknesses. Still, this is one of the best J-RPGs of the year. Tales of Vesperia is an unusual beast: beloved by fans for its unique cast and mature story, but whose combat system is only distinct from other games in the series by its slower speed. While I didn’t enjoy the bulk of the combat sections, especially when working through a long dungeon or wide field, the story of Yuri and his companions has built itself a place in my memory and is an adventure I will recommend to others for a while to come. You’ll need to love the battle system the series is known for or have a lot of patience to do it, but Tales of Vesperia is worth experiencing, and the Definitive Edition is absolutely the most sensible way to do it. Thanks to these improvements — alongside the entirely different flavour this JRPG offers compared to the other fare available at the moment — this is a game that, by all accounts is still worthy of your attention. This is one of the most engrossing games I've ever played in an already well-loved franchise, and I can't recommend it enough to just about anybody out there. While there were some minor adjustments to systems in future Tales titles to make for a smoother experience (not having to forge an item to be able to swap characters mid-battle, for instance), not one has approached this level of depth or this high a skill ceiling. Without hesitation, I can say that the benefits in Vesperia outweigh the downsides by a landslide. This game deserves all your money and then some, regardless the platform on which you decide to purchase it. "All my heart baby, all my love~ Arrivederci! ;D"
This is easily one of the biggest Tales experiences to date, and pretty much everything about Tales of Vesperia still holds up by today's standards. Whether you're experiencing the game new, or replaying it for the umpteenth time, Tales of Vesperia: Definitive Edition is a JRPG worth adding to your collection. Boasting the best script, best overworld, and best pacing the series has ever seen, Tales of Vesperia stands out as the single strongest entry in the franchise. Though later entries do feature stronger casts and gameplay mechanics, this is not lacking in either department. The members of Brave Vesperia all share an excellent amount of chemistry with one another, and the combat, while comparatively simple, actually thrives in how easy to pick up but difficult to master it can be. While not every addition exclusive to the Definitive Edition exactly benefits the narrative - a shame considering how thematically cohesive and airtight the overall story is - each gameplay addition is ultimately for the better, from the two new party members all the way to the new dungeons. Tales of Vesperia is a high point not only for its franchise, but for its genre. Tales of Vesperia: Definitive Edition shows its age in some areas, but with its enjoyable characters, interesting story, beautiful aesthetic and fun combat, this is one game from 2008 that definitely still holds up in 2019. ” I had several of the PS3 entries, including the remake of Symphonia, but they all ran together, so I tended to float away from them after 5-7 hours. Tales of Vesperia is the first Tales game that I've put significant time into since the original PlayStation, and frankly the Switch has made it so I can't finish super-long RPGs without some sort of portability. If you're looking for a jumping-in point for the series, Vesperia is the way to go. Ultimately, the question for many will be if Tales of Vesperia: Definitive Edition is worth picking up even if players have experienced it before. The answer, at least in my eyes, is a resounding yes. The addition of characters and story content makes it a fresh experience for western fans, and it is a game that still manages to capture the imagination even now. Audio issues aside, this is the best version of Tales of Vesperia we've ever gotten—and, to be frank, that we will ever get—and newcomers and veterans alike owe it to themselves to experience the Definitive Edition of one of the best Tales of games ever created. Tales of Vesperia stands as one of the best entries in the long-running franchise. Any issues I may have are minor compared to everything this game gets right. The Definitive Edition will be a treat for both returning players and newcomers alike. For a ten year old game, nothing about Tales of Vesperia feels like it doesn't belong today. The Tales series might be one of the most traditional JRPG properties out there, but when the core is this good, innovation isn't needed. Tales of Vesperia Definitive Edition delivers a - finally complete! - version of a tale told 10 years ago. Crystallized in the moment, its exactly as it was when it released with new content and a fresh gloss of polish. Ten years have passed since Tales of Vesperia appeared on the European market. With the definitive edition of the fan favorite, Bandai Namco manages once again to deliver a thrilling JRPG that can easily compete with current genre representatives. Loving characters, a gripping storyline, and lots of extra content make Tales of Vesperia a timeless RPG hit. Tales of Vesperia: Definitive Edition retains the charm of the original, despite being 10-years-old. It’s an easy game to pick up, and even friends can join in the adventure as well. If you haven’t played a Tales game before, this is a really good jumping in point. Minor blemishes aside, Tales of Vesperia: Definitive Edition lives up to its namesake and is still among the best Tales of games ever. We can play in Spain with the subtitles in our language and for the first time we can do it on the platform of our choice. An essential title for lovers of JRPGs that did not play at the time, and the best possible version for those who did. Tales of Vesperia: Definitive Edition brought one of the 2 best Tales games on new platforms and it is one of the best and most polished remasters that we have seen in this generation, with its nice story, beautiful art style and entertaining gameplay. Either you play the main game or not, Tales of Vesperia: Definitive Edition, is a very good choice for you to experience, specially with lots of new contents that didn't exist in the main game and surprise you in a good way. Tales of Vesperia may very well be the best JRPG on the Nintendo Switch, even if it's over a decade old. I'd love to see more games get the port treatment to the Switch, but even more than that I'm hoping that the series leads decide to bring the next game to the Nintendo console at launch. Recommended for any fans of the series or the JRPG genre. Tales of Vesperia: Definitive Edition is a polished version of an already great JRPG, and it also includes a bunch new contents that will please both the fans and those who approach this game for the first time. Vesperia's enhanced release is finally available worldwide, but several small frustrations old and new keep it from being truly great. The new additions here, especially the integration of a brand new character, definitely make this Definitive Edition worth playing for those who have already played the original. For newcomers, this release is the perfect opportunity to jump into what many (including myself) consider one of the best games in the series. Tales of Vesperia: Definitive Edition its a great opportunity to play and enjoy, one more time (o even for the firts time), one of the mos beloved JRPG games in history. Albeit its not perfect and many of its flaws have gotten more obvious with the pass of the years, its a huge game with the enough charm and content to maintain any gamer busy and enjoying for a long time. Any JRPG fan who missed Tales of Vesperia the first time around shouldn't hesitate to check out this definitive edition of the title. Despite its age, the game still holds up in 2019. Though not the perfect JRPG experience, Tales of Vesperia: Definitive Edition still manages to stand shoulder to shoulder with modern offerings. A worthy purchase for new fans and veterans alike. While Bandai Namco has not released a real 8th generation title in the Tales series yet, the new ported version of Tales of Vesperia feels like a solid JRPG that can easily be compared with current 8th generation titles. 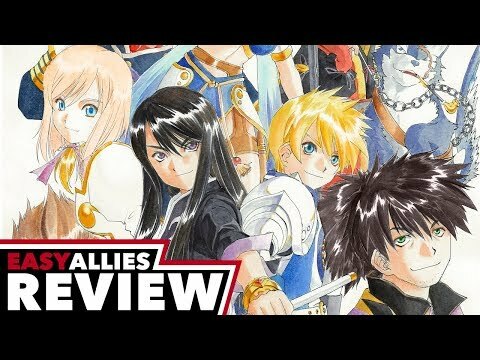 If you are a fan of JRPGs and for some reason had no chance to grab it back in 2008, now is the time for you to experience one of the best entries in the Tales series and one of the best JRPGs ever. While Tales of Vesperia: Definitive Edition doesn't make an major changes to the original game that launched over a decade ago, it does combine practically every piece of exclusive content into one wholesome package. With the benefit of some improved visuals in both cutscenes and gameplay, it's very difficult to recommend this JRPG classic on any other system than Nintendo Switch thanks to how well it performs in both docked and handheld modes. If you've ever slept on this classic, there's never been a better way to rectify that error. Playing Tales of Vesperia: Definitive Edition will bring back memories of simpler JRPGs that offered fun characters, engaging stories, and colourful worlds. Tales of Vesperia; Definitive Edition is a charming game with a great cast, a fun, deep combat system, and a ton of heart and easily the best iteration of a beloved classic. Tales of Vesperia: Definitive Edition brings one of, if not the best Tales game to PS4, and that alone will no doubt be enough to persuade fans of the series. But really, ten years after its original release, Vesperia deserves more credit than that. It's a borderline classic Japanese RPG, and one that still holds up in 2019 thanks to a great cast of characters and some finely poised action. This still stands as the best "Tales Of" game ever made. Nevertheless, though, Tales of Vesperia Definitive Edition excels in the places that matter most to Tales game, and in doing so earns the timeless adulation lavished on it by its fans. I can't tell you if it's the best Tales game, but it's everything a Tales game needs to be, in order to be considered great. A nice reharsal of the best "Tales of" chapter. Very nice if it the first time you play it, superfluous if you already played the original version. Even though it doesn’t bring anything incredibly new to the table, Tales of Vesperia: Definitive Edition is without a doubt the best way to experience this RPG classic that is still well worth playing today. I'm of two minds with Tales of Vesperia Definitive Edition. On one hand, this is the most complete version of easily the best Tales game in the last ten years. Tales of Vesperia Definitive Edition continues the winning streak of ports for the Nintendo Switch. Whether you’re a die-hard fan of the series, recall enjoying the original game, or are just in the mood for a good, solid JRPG, I highly recommend Tales of Vesperia: Definitive Edition. I know it scratched my JRPG itch. Tales of Vesperia Definitive Edition is a good reedition, with a small amount of bonus content. In 2019, the game is still pretty enjoyable. Despite its limitations and drawbacks, Tales of Vesperia: Definitive Edition remains one of the best stories in the genre and comes highly recommended if you’ve never experienced it before. Newcomers will be treated to one of the best Tales games in the long-running series, while Vesperia Veterans will finally be able to enjoy a spruced up version of Tales of Vesperia on modern consoles. Although it does little to refine the Tales formula, Vesperia is clearly a must-play for any JRPG fan, if not for the rather uninspired and predictable story, but for the characterization, great voice acting and more often than not hilarious conversations. Tales of Vesperia: Definitive Edition is the ultimate version of an iconic jRPG with colorful characters, interesting storyline, strong combat system and a huge number of side quests. One of the best in the series. Give it a try! Tales of Vesperia: Definitive Edition is the refined return of a classic JRPG experience. In video games, twenty years are an eternity an even ten years ago sounds remote. One of the best things that can be said about Tales of Vesperia: Definitive Edition, more than years old now, is that it’s surprisingly in good shape even now. This is indeed the Definitive Edition of Tales of Vesperia, just don’t expect it to blow your socks off like it once did, that’s all. Fans of the series will (and should) relish the chance to finally play this entry in the series, and there's enough Tales goodness here to make it worth the wait. The story is involving, the acting is top-notch, and the remastered graphics are colorful and (mostly) crisp. However, these may not be at a level that will win over anyone who's never played a Tales game before. And to those who moved to the Switch from the PS3/4 and have recently enjoyed Tales of Xillia, Zestiria or Berseria, the overall presentation and combat system will feel like a regression. As long as you're okay with that, you'll enjoy this Tale. GOOD - Tales of Vesperia is a good JRPG that will appeal very much to fans of the genre. It has a captivating story, great voice acting, and a very cute and colorful cast. A lackluster overworld and awkward combat system keeps it from being a truly great title. Formulaic but not always predictable, this remains the best of the Tales series and one of the definitive Japanese role-players of the 2000s. Tales of Vesperia: Definitive Edition is an ok game. 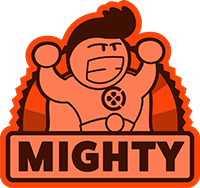 The fun characters and story are engaging but the game does feel old. For fans of the original version, this game will be great for you. For new players, this game will test your patience.